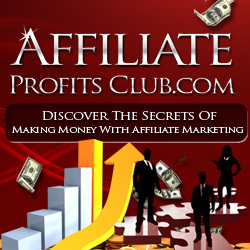 You are here: Home / Make Money Online / Do You Have What It Takes to Be an Internet Affiliate? If you were to describe an Internet affiliate, what would they look like? They look like you! Male or female, any race, any nationality, any age – the main thing that makes someone an affiliate marketer is having a hunger to make a success of whatever it is that they touch. An affiliate loves to market to people’s needs! An affiliate marketer often takes on one project after another as they accomplish what they had hoped in each separate project. Like climbing a new peak, a marketer takes on the challenge of digging up keywords and feeling out the audience for which the product is intended. Unlike the businessperson who loves to focus on one niche and become the authority on that topic, an affiliate marketer is constantly looking for the next great program to promote and dominate. Is just anyone cut out to be an affiliate marketer? In all honesty, no. Anyone can become an affiliate, but only some will stay with it long enough to make a real go of it. It takes grit, determination, creativity, bloodhound instincts, and love of a challenge. You’ll also have to learn some technical tactics to ensure your promotions see the volume of traffic that’s required to generate a decent stay at home income over a long period of time. You’ll want to build a list of subscribers, learn about getting your pages on page 1 of the Google search results, and possibly discover how to operate a pay per click ad campaign. In the end, marketing of any kind is all about discerning people’s hot buttons and then pushing them. If that describes you, then by all means you can count yourself in the small, but growing class of entrepreneur called affiliate marketers.